Stories fly by here at Muni Diaries, where your bus-riding experiences help capture a slice of urban life in San Francisco. 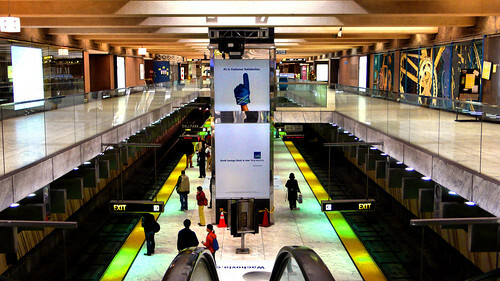 We’ve dug into the Muni Diaries vault and culled some of our most popular stories. With your help, we’re always adding to the treasure trove of San Francisco stories, so check back often to see what else we’ve pulled out from our favorites bag. On the 6-Parnassus, Timos explains the purpose of his yarmulke to a fellow rider. Ready to go back in time all the way to 1980? A reader sent us a poster of a disco party at the grand opening of the metro at Castro Street Station. This is a poster from the May 1980 grand opening party for the Metro system at Castro Street Station. Entertainment by Sylvester, DJs Howie Klein (415 Records), and Larry LaRue. As I remember, ticket holders were eligibile to be among the first people to ride the system by boarding cars at Church Street and then riding right into the party. Readers even helped us find the original video of Sylvester rocking it at the Muni party! Amazing. Click over to see Muni in its glittery disco awesomeness. I hop on the first [bus], frustrated that yet again it would have been faster to drive. The bus driver apologizes, saying the two buses that were supposed to be in front of hers aren’t running today. Then she offers me my choice of wrapped candy from a dish by the fare machine and for the first time I actually look around at bus 2442 driven by Tammy. I’m standing on Fillmore at Sac, surrounded by numerous Chinese shoppers on their way back to the Richmond (I say that because I’m over 6 feet…. let’s just say that I’m sticking out) when the 22 arrives… finally. I get on… finally… and see the most amazingly beautiful woman ever… in… my… life! Well, did I forget to mention how late I was? No shower, no coffee… not my best impression. All the lilliputians enter into the bus, there are seats in the back, but, I decide to stand next to her. I’m not thinking clearly yet… so I got nothin’. Big zero. I’m standing there on the lurch-and-puke that is the 1-California, and the woman sitting next to Her gets off…. then – she looks up at me and moves to the inside chair… holy #h&*! 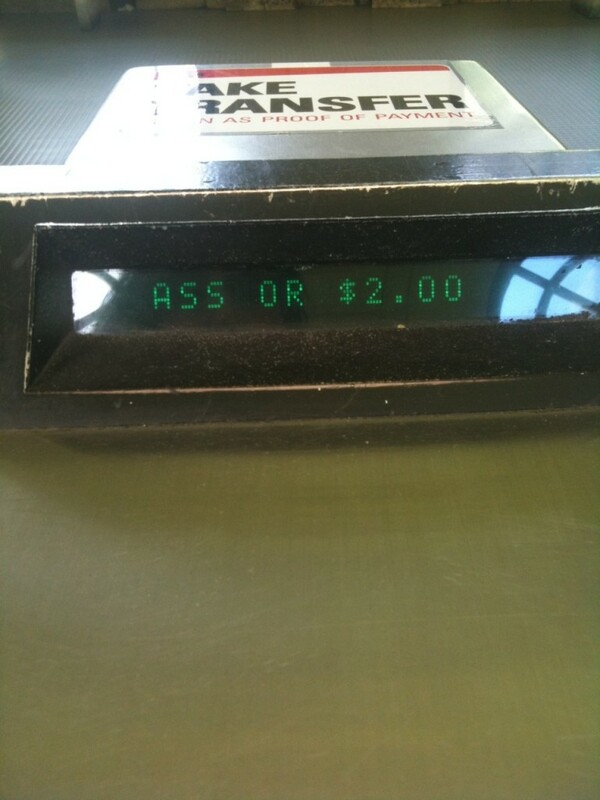 What to do?!?! Two 15-16-year-old girls climb on at Church and Market, grab a seat directly across the aisle from me, and break open a container of deli wraps filled with an assortment of meats. 15 minutes later when we’re finally between Van Ness and Civic Center, one of the girls starts dropping pieces of meat in the aisle. We make eye contact, she stares me down, I go back to reading. Out of the corner of my eye I see this girl hold up a big piece of meat, dangle it next to me and drop it right next to my bag. Continue reading Food Fight Friday. When Muni talks back, with attitude. Please Ho! Continue reading Muni Say What? Check back for more of our favorite stories. If you have a past favorite that you think deserves to be featured here or a new story you want to share, operators are standing by.